I opened the cap today and this is how it looks inside my tank. The fluid is filled to the max line but the black circle is at the bottom. Is the black circle the float that you guys are talking about? Just so that I understand you better, when you said the white part is the float. Looking at the picture, is the float size is the blue circle or the green circle part? It is the blue circle. Although I hate too, I have to agree with Lotus on this one, Spend the $$$ and just replace the tank, as he say's the plastics are consumable on these cars.And as Brutal has said rigging something like this is just crazy on an XF. $100 is still WAAAY cheaper than an engine, it only takes about an hour to do. Last edited by Bigg Will; 11-28-2018 at 09:01 AM. Is this as simple as siphoning the coolant out into a bucket, then unplug a few hoses, unscrew the tank, put in new tank, plug hoses back in, refill the tank with the original coolant? Once I install the new tank, how will the red sensor clear from my dash? I changed out my coolant reservoir a few months ago. All was well until the same coolant level low warning sign appeared on my dash again??? 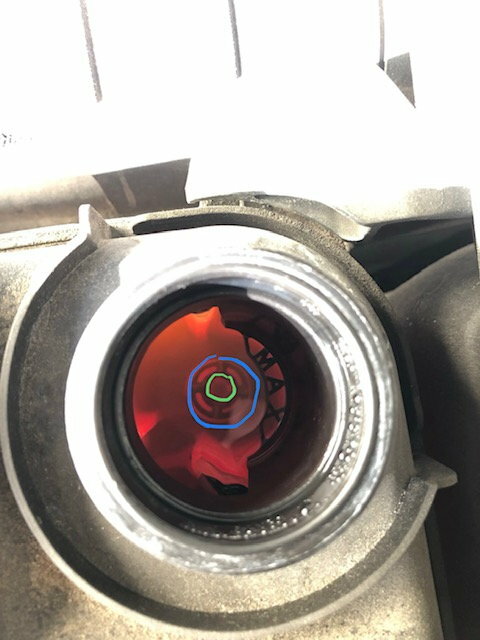 Did the replacement have a new external coolant sensor? The sensor is built into the reservoir if I am correct. There are no external sensors. I checked and did see that my coolant was really low. I did not see any leaks anywhere so where did all the coolant go?? If you added fluid did the low level light go off? I believe my tank has a built in sensor but I could be wrong. All there was is a 2 hoses and a plug I had to re-insert. Also, I added fluid and the light went off. But where did the old fluid go in the first place? 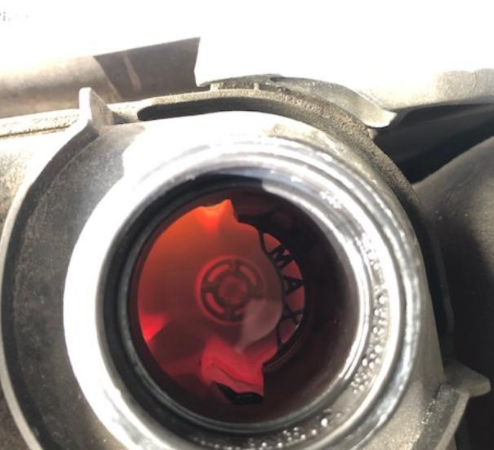 If you changed the tank, topped the fluid up, drove it then the first time you checked it the fluid was low, this can happen. Last edited by santer; 04-17-2019 at 01:42 AM. Yes I replaced my original with a new oem tank. I did top it off and am monitoring it daily now. You said that the fluid can be low the first time after a fluid top off. Why is that? Last edited by santer; 04-17-2019 at 09:56 AM.